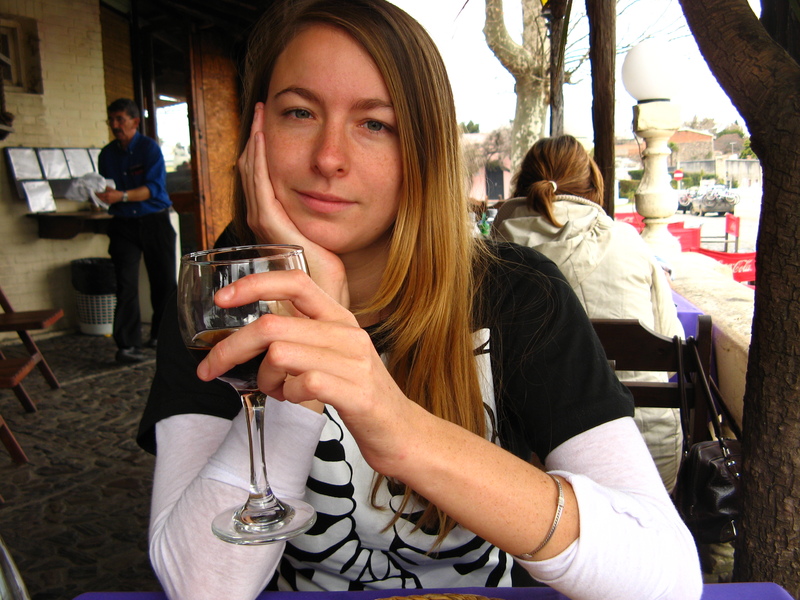 That’s me enjoying a glass of vino in Colonia, Uruguay. 2007. I’m a freelance journalist, specialising in three areas of expertise: business/finance, Latin America, and travel. My work has been published by the BBC, The Guardian, Wanderlust, Financial Director, Accountancy Age, Legal Week, Campden FB, Employee Engagement Today, Real Business, Futures & Options World, Los Tiempos, Latin News, HR magazine, and Campden FO, among others. I’ve also worked in the production teams of the BBC’s flagship current affairs programmes, Newsnight and Radio 4 Today. I’ve nearly 20 years’ experience in the field, from daily news-gathering to weekly newspapers, monthly and bi-monthly magazines for specialist audiences and writing for broadsheet newspapers in the UK and, since 2007, Latin America. What sets me apart is my ability to create thought-provoking, insightful and captivating copy which is always well-researched and original. I’ve worked my way up from tea-maker to editor of an award-winning magazine, associated website, social media platforms and supplements. I’ve chaired numerous round-tables, live events and conferences, scripted and presented bespoke videos. I went freelance in May 2011 and haven’t looked back. This allowed me to undertake a Master’s degree in Latin American Studies in 2013, in which I wrote my dissertation on the consumption of second-hand clothing in Bolivia, returning to the country for my fieldwork. I’ve a wide and up-to-date skill-set to offer any editor or publisher, rounded off by a thick contacts book and a bottomless pit of ideas from which to draw unique, well-targeted copy your audience will enjoy. As a seasoned financial journalist, I can quickly grasp and lend fresh insight to often complex, fast-moving topics; my exclusive interviews with leading CEOs, CFOs, entrepreneurs and other top decision-makers are set apart from the competition by bringing the reader into the scene and rewarding them with a genuinely fresh perspective. As a travel writer, I like to challenge the over-supply in gushing, idealised journalism with more balanced, on-the-street views taking you under the skin of the societies I’ve enjoyed spending time within. My incurable curiosity and love of low-cost travel has led me across several continents, so I have written about life in far-flung places including Bolivia, blending the seduction of discovery and of the unknown with economic and social issues affecting everybody everywhere. Both my travel writing and my business journalism have won industry awards. This website aims to give you a flavour not just of my journalism, but of my wider interests where they inform my work, as they often do. On every page you will see one of my photos from around the world, to make your journey around the site a bit more colourful. I am available to write, edit, commission and manage copy flows or blogs, to join editorial production teams, or to help moderate events, as well as interview live or chair panels. Please click here to download a PDF of my CV –MelanieSTERNMACV2013-14 – check out my LinkedIn profile, or follow me on Twitter @melvstern . I’m going to bookmark your site and keep checking for new details about once a week. I opted in for your Feed too. My name’s Lulu. I’m an intern at Bolivian Express magazine. It’s an English language publication based in La Paz and distributed around the country. I am currently researching a piece on community-built housing in El Alto. As these properties are largely built separate from the state and often go unregistered, Morales’ government is introducing new micro-credit policies to promote the legal building of housing and also their completion in this area. Banks such as BNB and BancoSol are introducing micro-credit loans as part of the scheme. .As a journalist focused on Latin America and finance, I was wondering whether I could interview you briefly about your opinion on the prospects of such a scheme. On the one hand, it can allow for state-funded registered properties and better organization of national resources like gas and water, but on the other hand these types of loan require credit checks of which no data base exists in Bolivia. I’d love to hear what you think. Please find my email attached. Hi Lulu, many thanks for your message and I am so sorry that I have not seen it until now, not much use to you! I have been on maternity leave and therefore very infrequently checking this site. However, I’m now returning to work, I read the Bolivian Express, I hope your work is going well. Please feel free to email – melvstern@gmail.com.